American Kestrel /Hawks Aloft Inc. 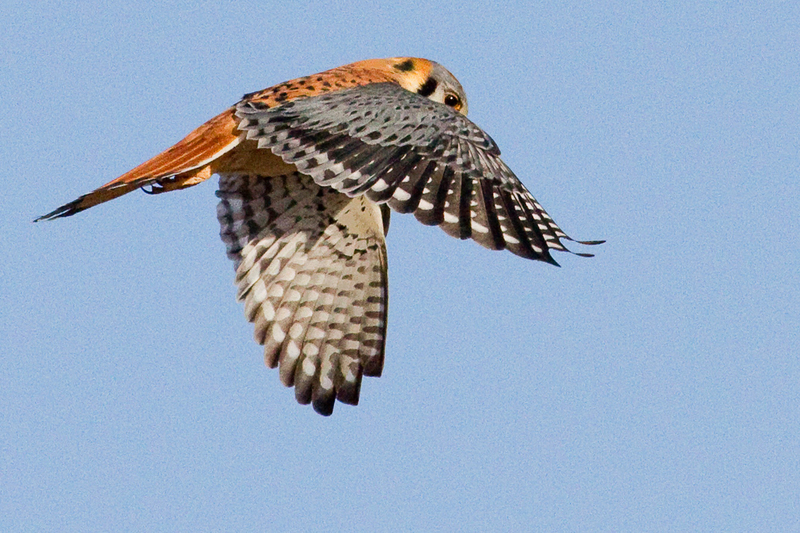 This image, of a male American Kestrel in flight, shows the row of white spots on the trailing edge of the wing. These are sometimes referred to as ‘landing lights’ and are diagnostic for the male of the species.